No matter which way you slice it, graffiti is not great. There are galleries all over Canada that display spray painted portraits and designs. but these artists are not the ones defacing your exterior walls or garage doors. If you want to keep paint inside galleries and off your property, our Gorillas can help. 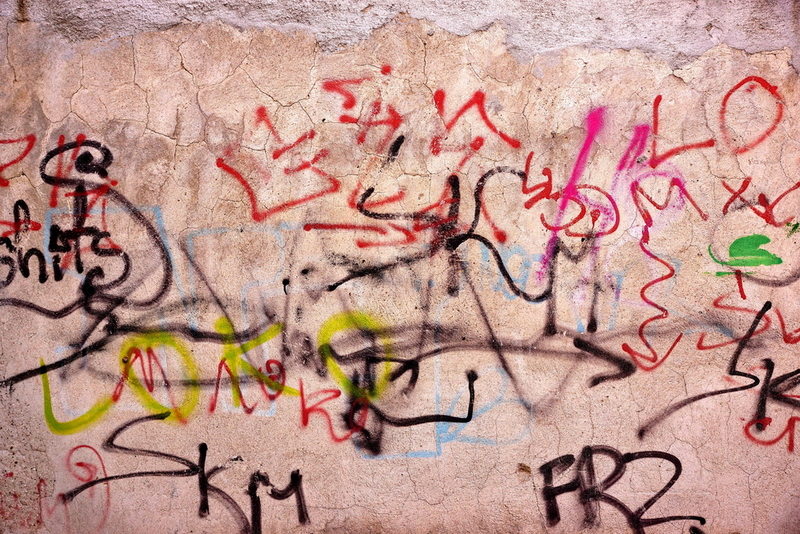 A little Lethbridge graffiti removal can go a long way toward keeping your property looking its best. There is no way to prevent graffiti from finding its way to your home or workplace. There might not be a way to prevent it outright but there is a way to take the joy out of the act for roaming graffiti artists. When your property has been hit once or regularly, quick and careful removal keeps additional paint away. When spray paint sits on surfaces, it encourages rival taggers to leave their marks or additions to the design. Exposure to sunshine can also allow paint to bake into exterior layers, making it even more difficult to remove. What do all of these things have in common? They are solved by the type of quick response time that our Gorillas bring to your Lethbridge graffiti removal. Our Gorilla technicians understand that not all of the graffiti on and around your property is colourful and pleasant. In fact, graffiti can, more often than not be offensive. When you find yourself stained with hate-speech or racist iconography, call our Gorillas immediately for same-day removal. When our Gorillas technicians are facing off against an unsightly paint stain, we begin with the surface and work our way down. Our specialty cleaning solution can remove surface layers of paint, overspray and bleeding on early action. If graffiti patterns have baked into the facade of your home or business, more drastic measures can be applied. These can include pressure washing, or even a new paint job.